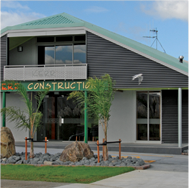 The staff of Kerr Construction Whangarei Limited vary from thirty key personnel to approximately sixty. 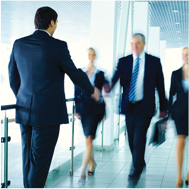 There are employed a sufficient number of experienced professional and clerical staff to handle all administrative duties in connection with the operation. All the Supervisors and Foremen have been selected for their proven ability and experience in the industry. It is the company’s experience that to have a successful project it is better to use local firms and local labour as far as possible and in this sense Kerr Construction has an excellent working relationship with all local subcontractors and merchants. 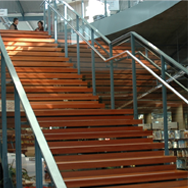 The company has completed and been involved in a number of large projects. Because of freight costs and problems of availability of plant in Northland, the company and its associates have had to purchase and maintain more than the usual amount of plant. They own all the usual structural and civil engineering equipment required to run a company of its size. This plant enables the company to carry out multi storey projects, to provide an erection service for precast concrete components and carry out the installation of large mechanical and structural items. Kerr Construction Ltd was formed and incorporated in 1960 by the two principals ALAN R. KERR and JOHN V. KERR and had from the outset been involved in all facets of the building and civil engineering industry with the accent being on industrial and civil structures. The company had also developed housing subdivisions in a minor way. The founders are sons of the late H.V. KERR who with his partner V. VISCOE operated a very successful building construction and joinery manufacturing company (Kerr and Viscoe Limited). This company was split into two companies, one being primarily a property company and the other joinery and allied products manufacturer. During the buildup of Kerr Construction Ltd over the next twenty-four years, the principals were careful to keep the overall structure of the company in line with the developing requirements of the local market. This market had violent fluctuations with various recessions and “boom and bust” situations caused by the refinery, power stations, etc. but the company retains key personnel and expertise by operating in other areas to maintain employment. 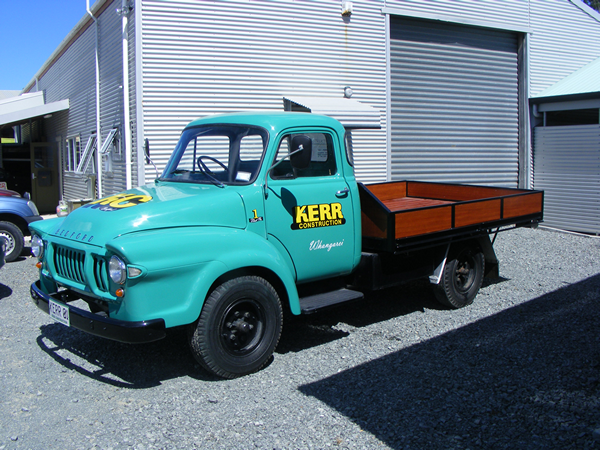 Kerr Construction Ltd was restructured in 1984 into Atlas Cranes Ltd which operated as a plant Hire Company and Kerr Construction Whangarei Ltd to carry on the traditional building operations.